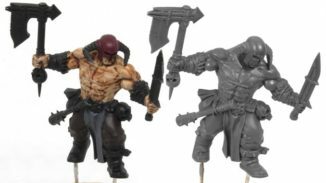 This article originally started as the second half of our Best Beginner Airbrush for Miniatures and Wargames Models post. Many people pointed out, that article was excessively long. So I’ve broken it down and re-written it here. 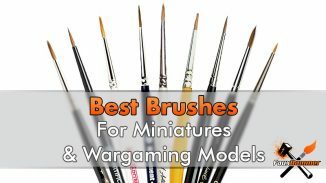 Also, this part of that article can also support our Best Airbrushes for Painting Miniatures & Wargames Models post too. So it just makes sense that this information exists as it’s own thing. No matter where you’ve come from to get to this page. The point is, that once you have an airbrush and compressor, you’ll quickly realise that it’s only the beginning. There’s a myriad of supporting components that are almost necessary to get the most out of your airbrush, some will just make your airbrushing life easier. 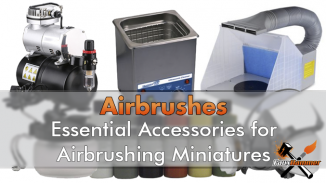 Now that you have (or have at least made a decision on) your Airbrush and Compressor, let’s have a look of some of the next steps you can take to improve your airbrush experience. Below I’ll show you some of the other kit you should pick up allong with the benefits of having each item. 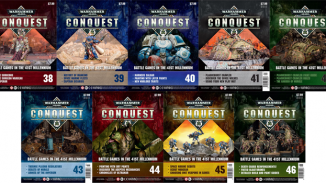 The first two sections below assume you’ve arrived here after reading our “Best Beginner Airbrush Article“. As you may know, the airbrushes you get with an Airbrush Compressor Kit are not great. They are cheap, they will do the job for a bit, but the seals won’t last very long, the needle will easily bend. 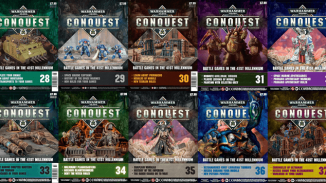 But if you intend to do little more than priming and base-coating with maybe some Zenithal shading, these things are generally fine. But you want to get finer details or paint a whole model, along with detailed shading, it’s time to move up to an expensive airbrush, right? I’m not saying there’s no value from an expensive airbrush, those brushes will last longer and perform much better in the long run, but you don’t need to dive right in. Especially if you don’t have the cash to outlay, develop your skills and experience first. Use some cheap ones as workhorses so that when you do finally upgrade, these can be the ones that take the beating. Then you can keep your top tier airbrush clean for your detailed and precision work. I first saw this “0.25mm Gravity Feed Dual-action Airbrush” on Tale of Painters blog and I’ve had 2 of these so far. Again it’s made of cheaper material but at 0.25mm it will allow you to practise your precision work. 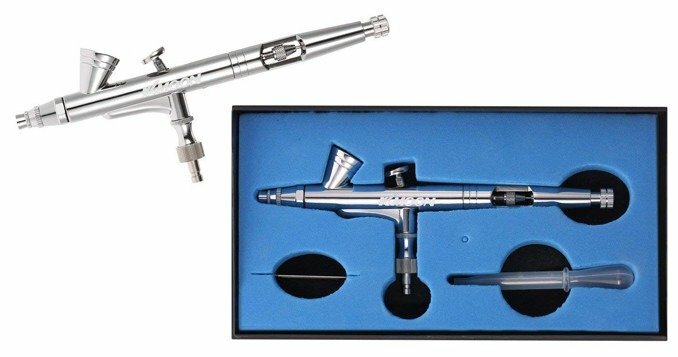 It is a gravity fed dual action airbrush and best of all (at the time of publication) this costs only £15 ($20 USD, €17) with some sellers even discounting it as low as £10. But the prices fluctuate from this point to almost twice as much rather frequently. 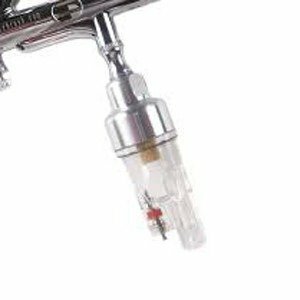 These are great airbrushes for practising until you want to step up to some better quality kit. 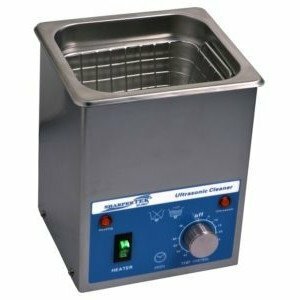 And if you want to juice one of these cheap ones up a bit further and get a better result, you can’t go wrong by checking out this quick video below. Since posting the Best Beginner Airbrush article, a lot of people have said, don’t buy cheap, buy quality. I do agree with that in my general purchases. But the point of that article was to show you where to begin assuming you have never had any experience with an airbrush before. Many people may want to begin with a higher quality Airbrush than a cheap knock-off or generic eBay crap. Fair enough. For a complete beginner, nothing I said in that article is wrong, just get a cheap set off eBay or Amazon. 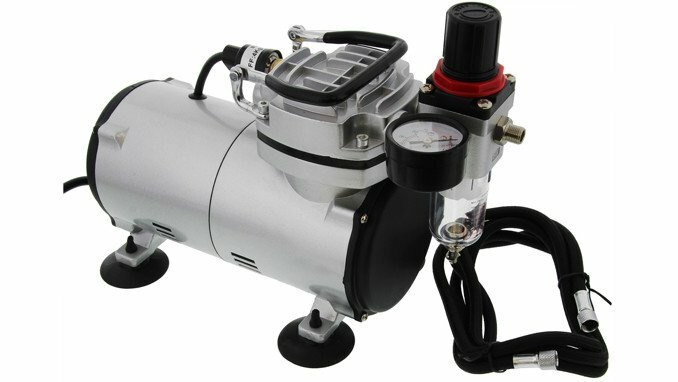 A compressor with a tank and a generic gravity fed airbrush. When you’re ready to move up and get something a little more rigid and ready for detail work, spend some more money on a trustworthy brand. 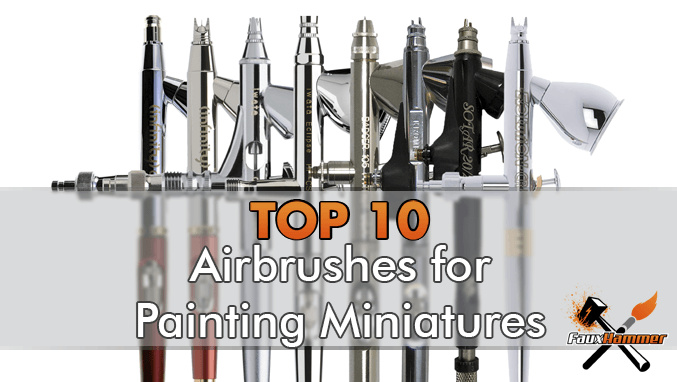 All of the airbrushes mentioned in our Top 10 Airbrushes article are great choices for those of you who want something solid from the get-go. Aside from the usual benefits of having better quality components and seals which will last longer than the cheap airbrushes. With higher-end airbrushes, you can actually buy variable parts to change things like the nozzle and needle diameter. Giving you a finer or wider spray. You now have 1 tool that does many jobs. I would still highly recommend getting a cheap model to get you up to speed with maintenance and cleaning. Also, whilst you steadily build out your airbrush arsenal with the items below. Not so much an accessory as a necessary requirement, but it’s worth noting as there are a variety of different types available. Like we said in our Best Beginner Airbrush guide, you can pick up one of these with a free airbrush pretty cheap. There are much more expensive branded options out there but there are many arguments as to whether these offer any significant benefits over the cheap options. The main benefit of higher-end options seems to be the reduction of noise from the motor which compresses the air. The overkill option is to get something like an automotive air compressor which has a huge tank. So long as you have the space for this, the initial motor noise is much louder than a dedicated airbrush compressor. However, you can add compressed air to the tank and use it for days without having to have the motor running again. Pretty much one of the first things you should buy after you get your airbrush. This very useful and cheap bit of kit that allows you to stand your airbrush when not in use. Which is pretty necessary, you can’t lay an airbrush down when it’s full of paint. The Pot’s main function is to give you somewhere to spray your waste when you’re cleaning your airbrush out. It saves you wasting tissues as you spray water through to clean it. Just spray into this pot and it will capture everything without leaving a mess. 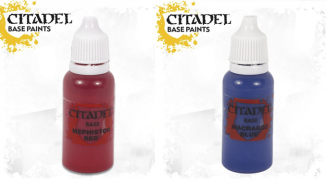 Quite obvious really, With an airbrush, you have the benefit of cheaper primer, but you want at least your base colours down too right? And maybe some of that Zenithal Shading you’ve heard of? 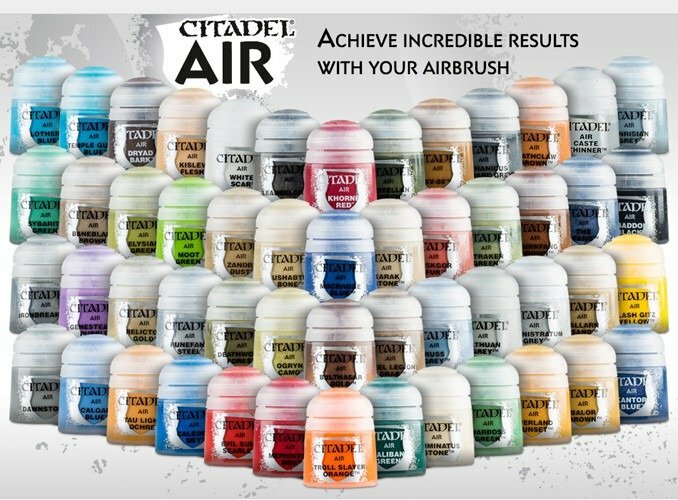 You can buy Citadel Air paints, but you can also just thin down your existing paints instead. There are a lot of ways to do this, including buying yourself some airbrush thinner, but the cheapest and best way is to get some distilled water or ready mixed car screenwash (which is basically distilled water with some cleaner in it). and don’t worry, this won’t tint your paints blue or pink or whatever colour your screenwash is. The way to thin it is to aim for the properties of milk. I say properties instead of consistency as the consistency isn’t always accurate. 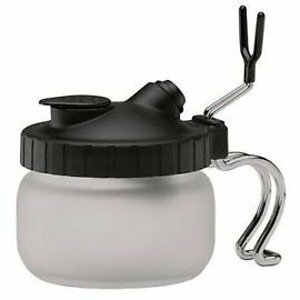 Get a glass and put some milk in it (you may have a little glass bottle if you got a syphon fed airbrush in your kit). Now pull the milk up the side of the glass, you see how the white of the milk kinds sticks to the walls and very slowly falls away. This is what you want from your paint. Best to go a bit thicker with your paint at first as it’s easier to thin in the airbrush if you need to, rather than thicken it up. If you are spraying and it’s not coming out, just put a drop of Distilled water or screenwash into your airbrush paint cup and swirl it around with a brush to mix it, keep doing this until it’s thin enough. 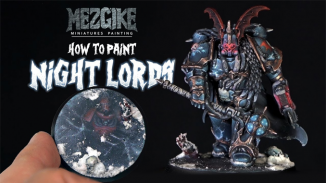 This really isn’t as complicated as it sounds, you’ll nail this quicker than mastering the consistency of thinning for brush painting. 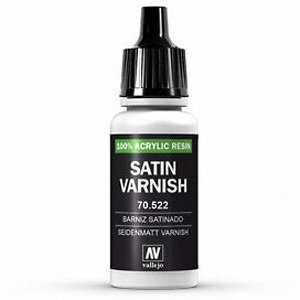 Vallejo especially has some great varnishes, I’ve never tried mixing up my own as the Vallejo range works just fine. they come in Matt Satin and Gloss, just make sure to shake them well them before you use them or you won’t get the expected result. With the Matt varnish especially, this needs severy very thin layers, each layer is almost imperceptable. But you can normally do this in one sitting as you can use the airbrush to dry the layers between coats. With any compressor, you can get water build up in the line from the compressed air. 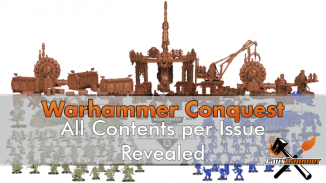 This is another reason you want a tank with your compressor rather than standalone. I didn’t get a tank with my compressor and occasionally as you shoot your paint through, the built-up moisture can shoot out of the brush, severely diluting the paint and ruining your lovely spray job. This happens mainly when the compressor is used for several minutes and not allowed any time to breathe and for the moisture to dissipate. The below item simply fits in line with your airbrush to capture the moisture in the line. If you start spraying water when you don’t expect to, this is what you need. 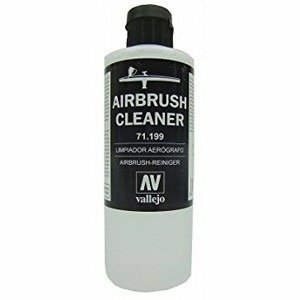 Vallejo does an airbrush cleaner too which is cheap enough. Just make sure to do what I didn’t and read the instructions on the label. specifically; dilute 50/50 with water. I didn’t read that and pretty much melted some rubber seals… and that’s the story of how I ruined my second airbrush. This cleaner will pull away bad paint and lubricate the mechanism. Just rinse out most of your unfinished paint with water first and use the cleaner to finish it off and get it squeaky. You can make your own Airbrush cleaner using Isopropanol and other chemicals/fluid. I’ve not done that yet but there are Youtube for guides on this. To lay down some epic beats whilst you paint, Oh no, that’s a different kind of turntable. A useful bit of kit and my extractor station came with one, it’s much easier to put the model on this and turn the table rather than spray your hand. very useful for your Zenitha shading for pretending to be FatBoySlim, he’s still down with the kids right? One of the best upgrades you can get is an extractor station When airbrushing, it essentially atomises the paint and other fluids inside your brush. 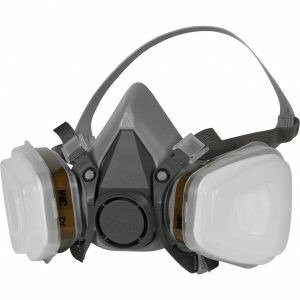 Most will hit the model, some will overspray, but other particles will go into the air where you will likely inhale them. That’s not good for your lungs. This is what you need to both contain the overspray and keep the nasties out of your body. 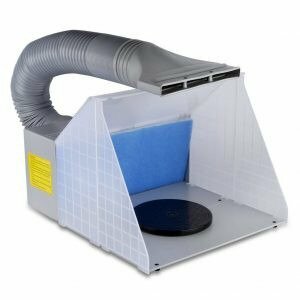 If you don’t want to stretch to a full extractor station then the least you can do is pick up a face mask to protect yourself from the particles and airbrush cleaner fumes. Not called Pipe Cleaners anymore because “Pipe Cleaners” is now the name for those bendy things school kids use in crafts. 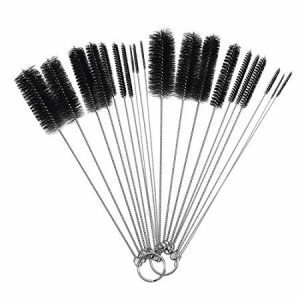 Get a set of these to clean out your airbrush. they are also good for when you’re stripping paint off miniatures. If you are buying Airbrush paints and want to transfer from a pot to your airbrush then you don’t want to pour it, it will go everywhere. 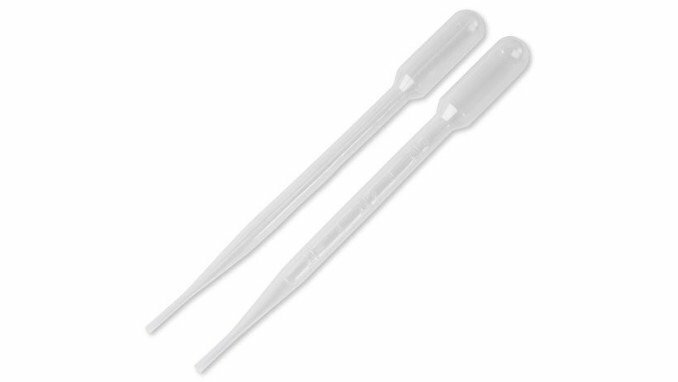 paint which is correctly thinned for an airbrush should be able to be easily moved with a pipette, these will also be useful for moving water and other fluids it drop like quantities to get your mixes right. and they cost next to nothing. Vallejo has already got this nailed, your paint goes a long way in an airbrush and you really only want to be putting in a few drops at a time. 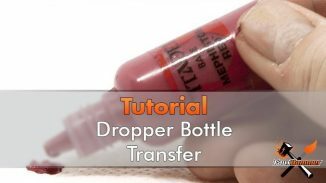 For anyone using Games Workshop colours, you can easily transfer your paint’s to dropper bottles, which is something I highly recommend. 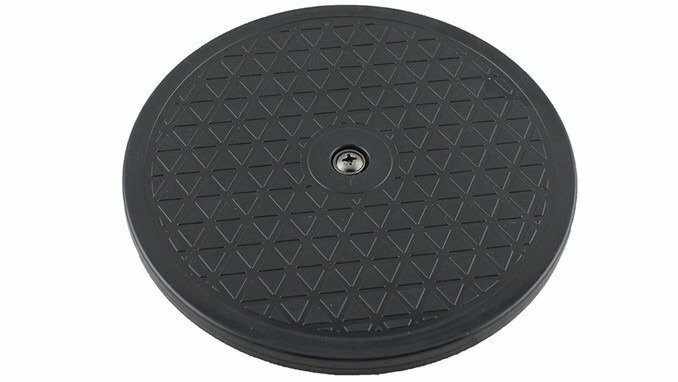 Another useful tool in your hobby armoury, I’ll do another post specifically on these at a later point. but they are great to get those final paint specks off and out of your airbrush, once again. good for stripping paint off miniatures too! 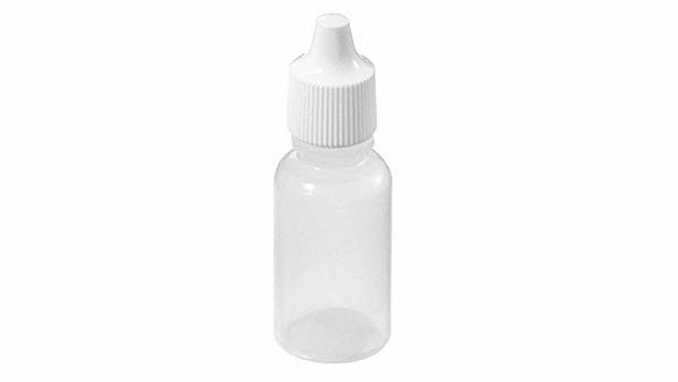 As I mentioned above, if you got a syphon fed airbrush in your kit then you probably have a little glass pot. these are great for storing ready thinned paint in. 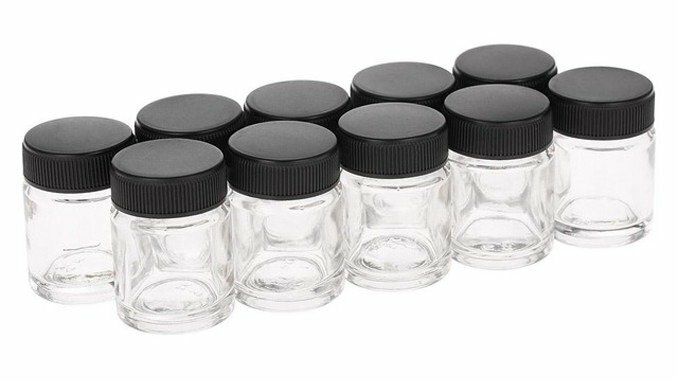 But if you have emptied your Games Workshop paint’s into dropper bottles already then you can also just use the old pots. I like these glass jars, but the first lot I bought came with no silicone seals so the paint just dried out, pick some up from a reputable seller or be prepared to return them if they sell you crap. If you want to airbrush multiple colours or try out some effects. There are uses for all these things.